According to the various books and websites we spend each evening pouring over in an ambitious attempt to keep a day or two ahead of our baby's suddenly very rapid development*, she ought to start crawling very, very soon. Admittedly at the minute, when placed on her tummy, she lolls back and fro, not dissimilar to a beached seal pup. Its very cute for us, slightly more frustrating when your favourite toy is merely inches out of reach. And so it comes to babyproofing, well, everything. We realised very quickly that pretty much our entire home holds the most enormous attraction for an adventurous and inquisitive baby. Infact, I'm convinced there is a correlation between the more dangerous the item, the more attractive it is to a curious eight month old tot. Heck, why play with a boring, dull rattle when there is a whole selection of cables attractively and temptingly dangling down from behind the telly to gnaw at? And an immediate beeline is always made to the cupboard containing all the cleaning products and their enticing bleach containing bottles. 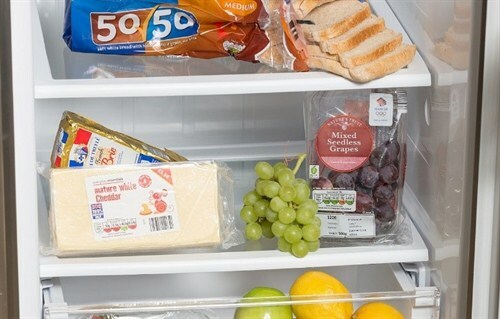 The tips appear in the article 'Fridge Fitness' and include valuable tips from other bloggers to ensure your fridge is kept in tip top condition. * I swear it was just two minutes ago we were elatedly walking out of the hospital with our perfect little bundle of joy, having successfully put on a nappy without a midwife staring over at us trying to remain professional as she pointed out that we'd put it on the wrong way round. Again.